Happy October! 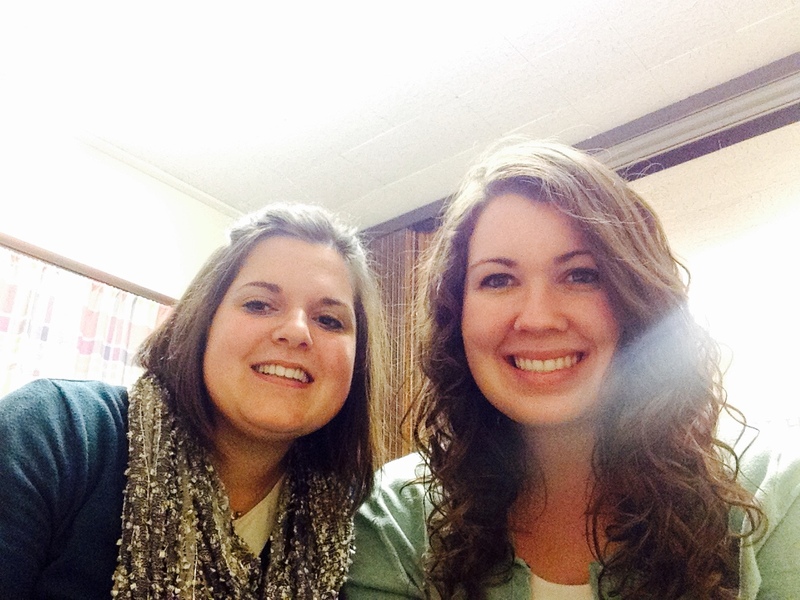 ‘Tis the season of pumpkins, leaves, cardigans, and best of all, general conference! I hope you all received a lot of personal revelation and guidance from the conference. What an incredible blessing it is to have a living prophet on the earth today. As Russel M. Nelson said in his talk, the living Lord leads His living church. I am excited to get to go back and reread conference soon! Serving in a YSA Ward is always full of new and funny experiences. Our ward members are particularly dynamic as well, haha. Last Sunday during fast and testimony meeting, a member of our ward talked about his recent “conversion” to family history. He stayed up all night when he discovered it, until he realized that he was almost completely out of Internet data on his phone. In his words he said, “so I had to stop… One cannot save souls from spirit prison with no data!”. It was pretty hilarious. Last Monday I had a pretty embarrassing moment… So we went to Walmart like usual and I picked up the things that I needed. When we got home, I opened my bag and realized that I had accidentally STOLEN! I had been trying to decided about a pack of stickers, and I inadvertently put it away with my iPad which I had been holding at the time. With my honor at stake, we went back over to Walmart that night and awkwardly walked around and grabbed some other random things so I could buy the stickers with it. Haha, it was a little traumatic, but all is now resolved. The institute classes we went to this week were all super good. In this week’s BYU Devotional, Dan Clark gave an awesome address. I’d encourage everyone to go back and read it or watch it. He made mention in his speech of one of my favorite Mark Twain quotes: “The two most important days in a man’s life are the day he is born, and the day he finds out why”. That quote struck me once again, and really made me think about how precious the knowledge of the plan of salvation is to me. I am grateful that I have a purpose in my life, and that I have the opportunity to teach others about their own. We did a ton of finding and contacting this week, so that thought was prevalent as we talked to a lot of people. During the second half of the week, Sister Randall and I did a lot of baking! I made our family’s traditional Chex mix for general conference, and it was super yummy. I also made some puppy chow, and Sister Randall baked a cake in honor of Elder Holland’s birthday (Elder Holland our zone leader, not Elder Jeffrey R. Holland, haha). The zone leaders are in a trio this transfer, and two of the three are Elder Holland and Elder Oaks… I laugh every time. Elder Holland turned 26 on Saturday, so us and the ward threw him a little birthday party between sessions. It was a super yummy lunch, and it was just really fun. On Friday, we had a special meeting in the morning with the Assistants, and they talked to us about a lot of different things. The most exciting thing though is the expansion of our online proselyting! We are going to be using Facebook in a much more creative way, hopefully. 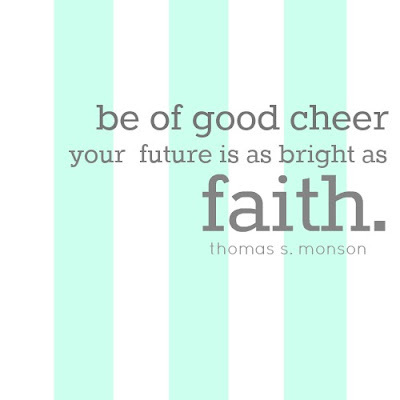 Be on the lookout for hashtags like: #bookofmormoning #dailylife #sharegoodness #testimonytuesday. It’s gonna be great! We are also now allowed to be tagged in members’ posts, which is really good. After we finished teaching a lesson via Skype! Saturday morning, we had a breakfast with all the missionaries in the zone and the stake presidency and talked about our zone’s goals for the transfer. We watched conference at the stake center on Saturday, and then watched the Sunday sessions at home with the member we live with. They made us a big breakfast on Sunday which was amazing- Swedish pancakes/crepes, eggs, sausage… yum! Funny moment of the week: Saturday night, we ate dinner with the 4th ward Bishop and his family. We normally have dinners with the elders, but it was just us that night. Their little four year old girl, Ella, asked where the “boy missionaries” were, and I told her that they were eating with someone else. I think she was offended, hahaha, because this was her prayer over the food: “…and please bless the girl missionaries. Not the boy missionaries! 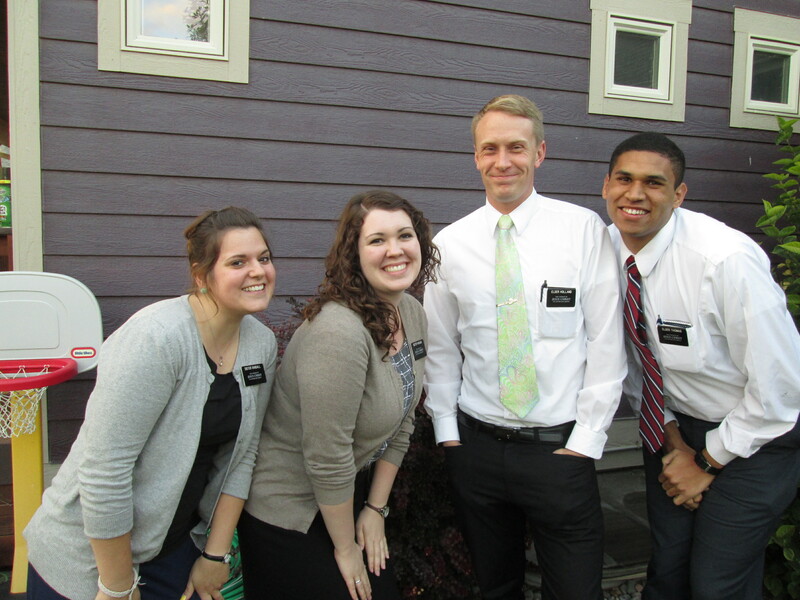 Just the girl missionaries”. My companion and I had to seriously stifle some laughter. Hey, I sure do love you all! Thank you for your letters and support and prayers. It makes a difference, and it means a lot to me. Love you all and miss you bunches. Have a safe and happy week! !